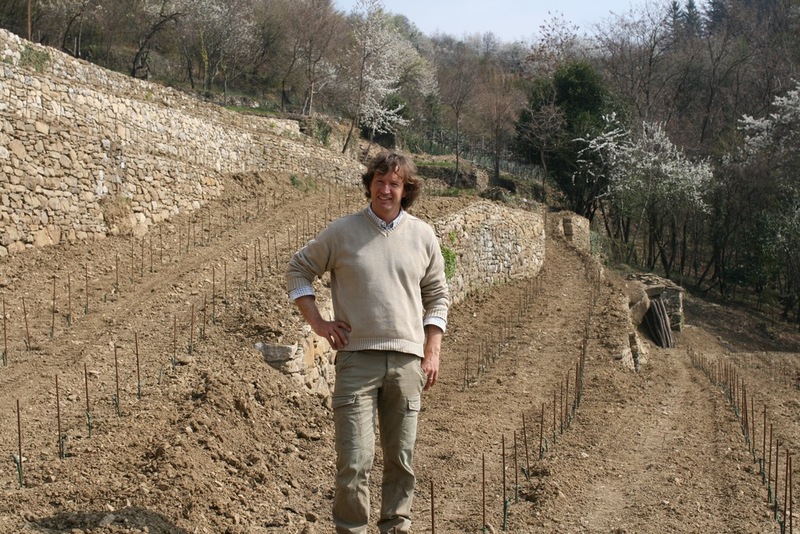 Sandi Skerk's property is only 500m from the border of Slovenia in the Carso appellation of Friuli in the far North Eastern corner of Italy. Tasted out of context, ie here in our office in Oakland, CA, it is difficult to know what to make of the wines; they are different than any other in our portfolio. However, upon meeting Sandi, seeing his vineyards, his cellar, and listening to his winemaking philosophy, it becomes entirely clear how special the wines are and what Sandi is trying to achieve by making them. His entire process is natural, not because it is the trendy thing to do, but because it does not make sense to Sandi to make wine any other way. When asked about the style of winemaking that seems to be the trend in the Carso DOC, ie. long skin contact for the whites, Sandi talks about the great respect he has for his grandfather, who also made wine on the family's property, and about wanting to follow his technique. Making wine before it was common to use SO2 as a preservative, Sandi's grandfather used the technique of extended skin contact for his white wines. The tannins in the skins protect the wines from oxidation, allowing Sandi to use very little SO2 in his winemaking. Making wine naturally requires great care in the vineyards and the winery and if there is one thing I have learned about 'natural' wine after attending the two 'natural' wine fairs every year in Italy in March, it is that there is a big difference between 'natural wine' made by great winemakers and 'natural wine' made by any Joe Smoe hoping to jump on the 'natural wine' band wagon. Sandi is one of the great winemakers making natural wine well; his wines show impressive clarity, balance, and depth on the palate. Sandi explained to Oliver why his ‘orange wines’ are not orange, read it here. Jon Bonné of the San Francisco Chronicle wrote a great piece on the top producers in Carso, read it here. Maturation: the wine remains on the lees for a period of 12 months in oak casks of 1500-2000L; wine is decanted into steel tanks and bottled without filtration and fining. Maturation in the bottle for 4-6 months before release. Read more about Vitovska here. Maturation: the wine remains on the lees for a period of 12 months in oak casks from 1500-2000l; it is decanted off the lees into steel tanks and bottled without filtration and fining. Maturation in the bottle for 4-6 months. Ograda is the term the farmers in the Karst used to indicate a small parcel, located near the village and the houses which were often fenced with typical limestone dry stone walls to prevent entry of domestic animals such as cows, sheep , goats or anything else that could cause damage to crops such as vines planted inside. 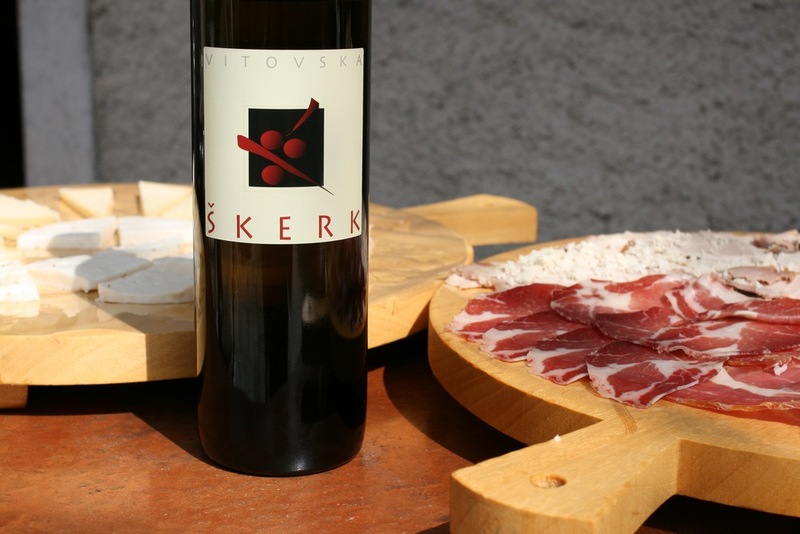 Ograda is also the name of the wine cellar of Skerk where once was a vineyard of Vitovska. 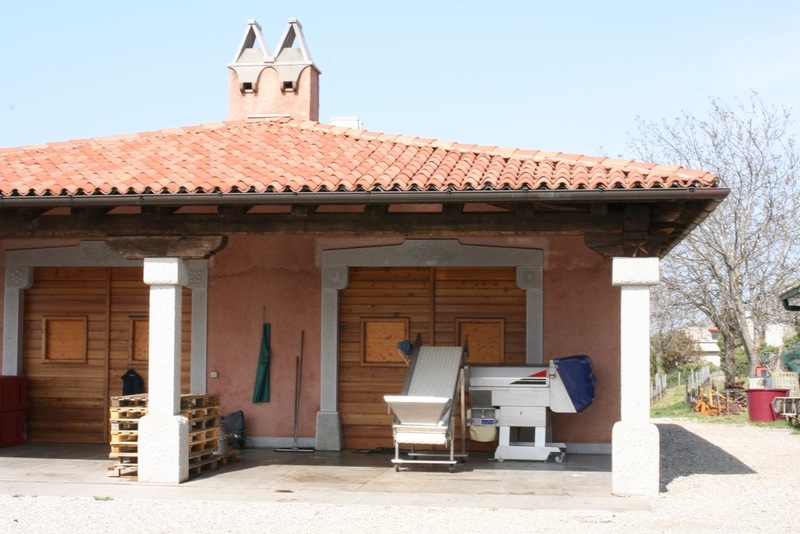 The idea is to bring together the best grapes from small parcels "Ograde" cultivated mainly to native varieties like Vitovska, Malvasia and Sauvignon, but also others. Maturation: the wine remains on the lees for a period of 12 months in 550l wooden barrels and tanks, 15 -20 hl; the wine is decanted into tanks and bottled without filtration and fining. Maturation in the bottle for 4-6 months. Aging: After separation from the skins, the wine is aged in small to medium wooden casks; it remains on the lees for a period of 12 months, after which it is decanted into 2500l wooden barrels; bottled without fining and filtration. Subsequent maturing for 4-6 months in bottle. Vintage 2009: The year was warm and beautiful. Thanks to the handiwork in the vineyards, thinning the buds, leaves, and bunches, the grapes arrived ripe and balanced; we consider it an excellent year in terms of quality. In the winery, the fermentations were optimal. The wines have completed one year in oak barrels, then they were assembled and allowed to settle for another winter and then bottled without the clarification and filtration. Read more about Terrano here.